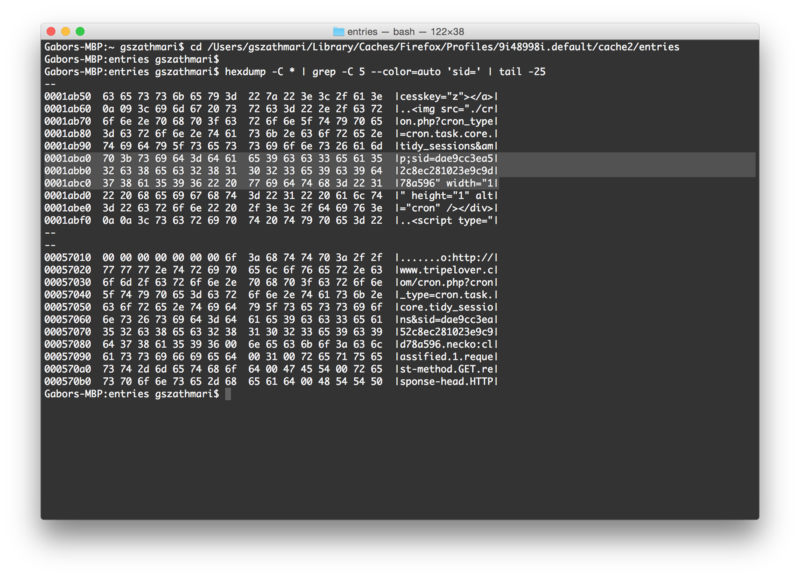 Purge those nasty JSESSIONID and PHPSESSID parameters from the URL bar. Now. Sensitive data in GET parameters are bad. Even over HTTPS. Just stop. Please. No more excuses. We might all know that session identifiers function as a usernames and passwords. You would never give away your credentials, so why would you do the same with session IDs? Let’s overview where these query parameters are exposed along the way between your computer and the web site you visit. The bad news is that most of these are still problematic even when the web site is served over HTTPS. So to solve the issues above, we need to get rid of the sensitive query string somehow. In many cases fixing the application may not be an option for many reasons. Those working with mod_security a lot now might be familiar with virtual patching. This is basically a quick ‘n’ dirty hack for masking web application vulnerabilities without touching the application itself. So why not borrow this great idea? What we need here is to deploy a reverse proxy in front of the insecure web app. Although the application continues using a GET parameter for passing session data, the proxy will convert between unsafe query parameters and safe cookies on the fly. I am using phpBB3 as a vulnerable app for this demonstration. This app still uses a GET parameter called sid= as well as cookies for passing the session ID back and forth. 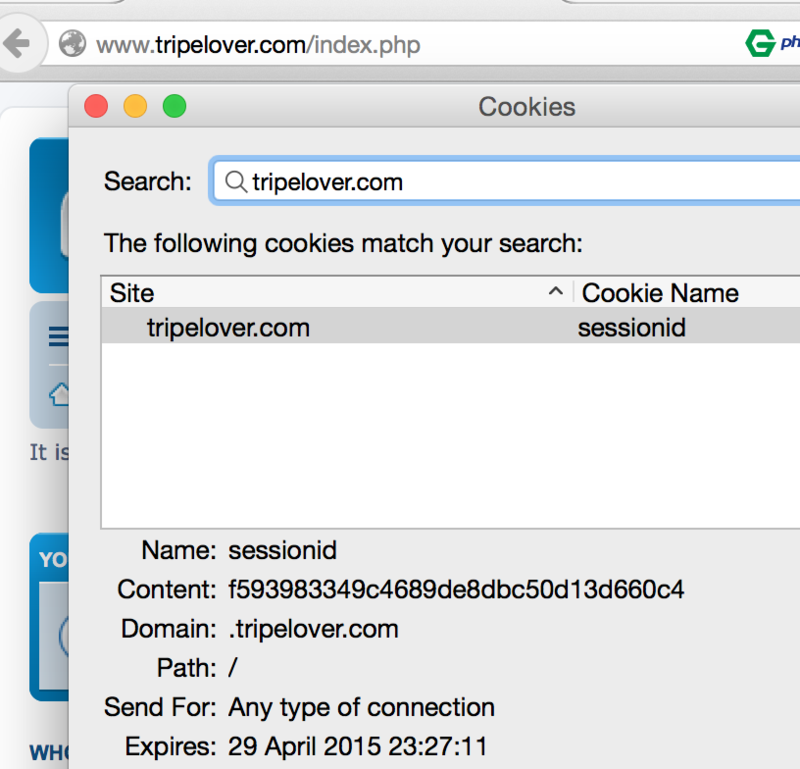 Long story short, I have turned the cookie support off in phpBB to simulate a legacy web application here. The SID Killer Proxy is based on nginx and its quite powerful Lua module, and installed on a standard Ubuntu image. When a visitor loads our “legacy” website (phpBB), it generates a HTTP response with session data in the URL bar. 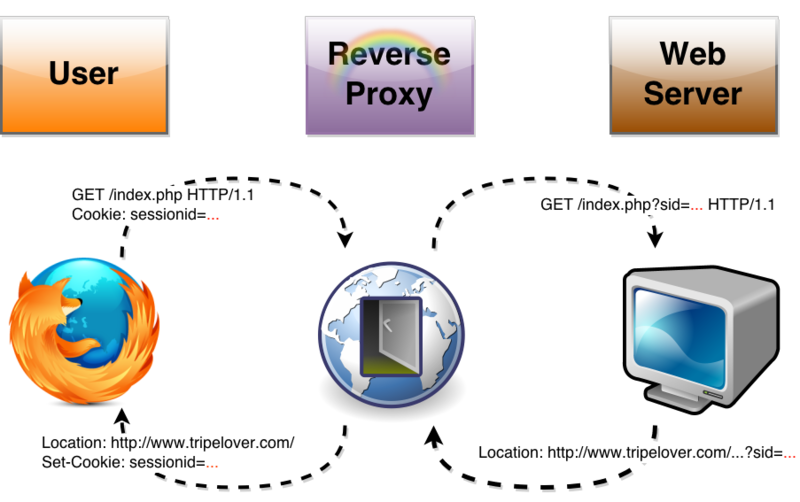 However the response is sent through the nginx proxy first before it reaches the visitor. The intermediate proxy strips the secret sid= parameter off from all HTTP responses, and replaces it with a Set-Cookie HTTP header. This will install a cookie in the visitor’s browser instead. The other direction of traffic works similarly. When the visitor’s browser sends the cookie back in each HTTP request, nginx rebuilds the sid= parameter for the application server from the appropriate Cookie: value. For more details, check out the comments in the source code below. In order to minimize the exposure of the secret query parameter, this proxy should be deployed as close as possible to the mischievous application. Nothing substitutes a web application that is developed with security in mind of course. 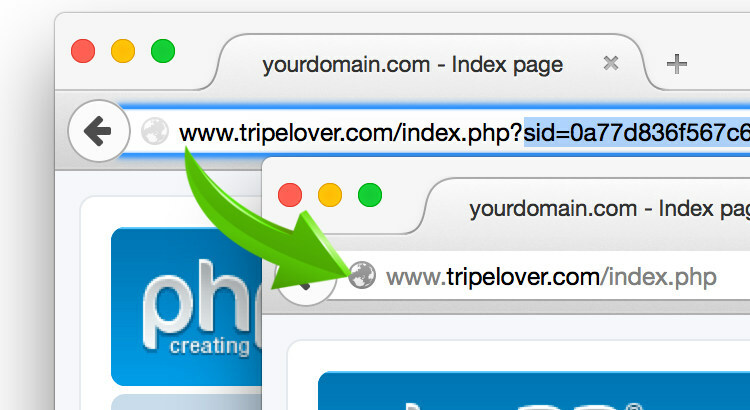 However, this neat trick may help protect the visitors of legacy web applications.